Well, everyone enjoys eating tasty food. Some people prefer steaks, some love vegetables, others would sell their soul for wine or sweets. There are a lot of ways to cook something earthshaking and there are lots of talented chefs. Do you think you are among them? In this case, today is the day to introduce your work. It doesn’t matter if you are the owner of a popular restaurant or just a young beginner. Both variants require a worthy online promo. Firstly, with its help, you can find new customers. Secondly, you will be able to enter the global market and become famous. Thirdly, you can speed up your work thanks to a business website. Actually, there are so many reasons why you need a classy business site. Still, the question is not why but how. How to run it? That’s why we found top 10 food Shopify themes. 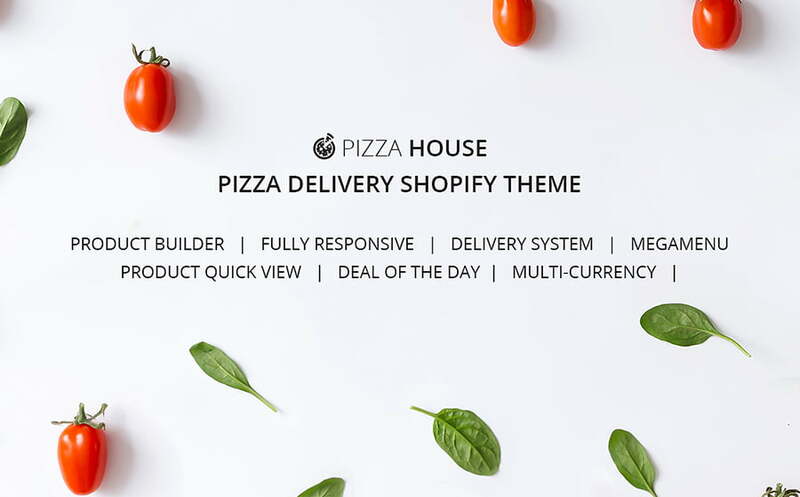 Beforehand, don’t forget that all the food delivery Shopify themes below come with live demos. Check them to get inside the very template. Each of these products is responsive, SEO-friendly, and really fast. 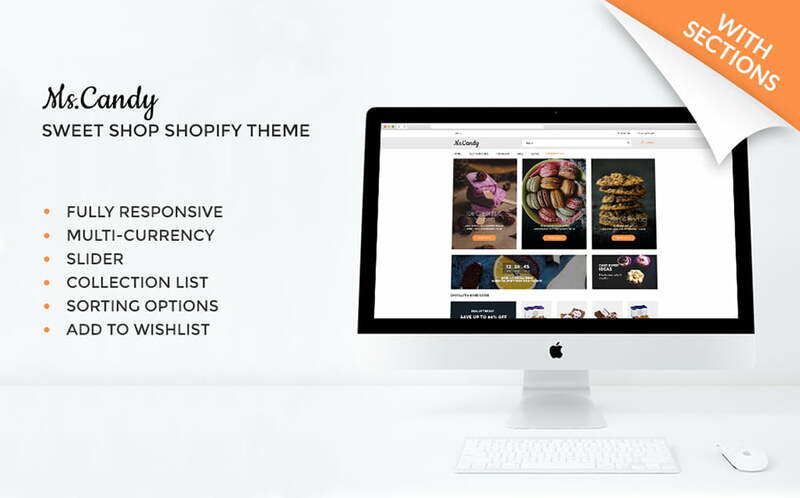 It’s easy to work with these splendid food Shopify themes. With their help, a magnificent business website can be done by the users of any skill level. Would you like to get a full picture of what it is we’re dealing with here? 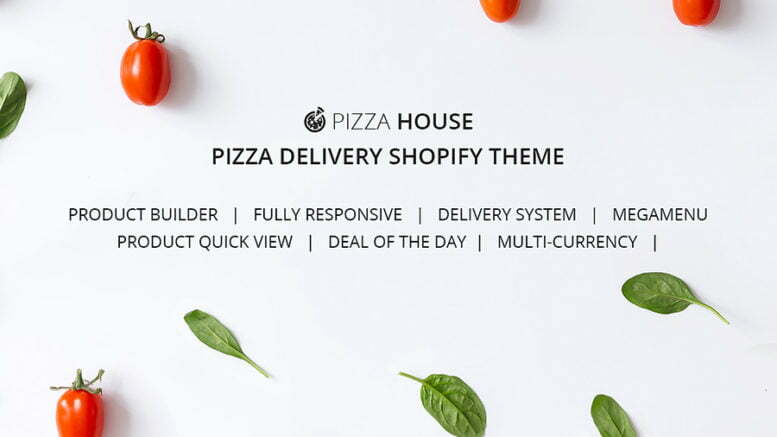 Although Pizza House has a clean and minimalist design, this food Shopify template is still eye-catching enough to attract a prospect. Using the theme, the website owner will be able to add lots of comfortable features to their business online project. For example, there is a cool Product Builder, which lets a customer add cheese, tomatoes, etc. to the pizza and regulate the amount of products. It’s an easy-to-manage tool, which means that both you and the web audience won’t face issues while working with the builder. 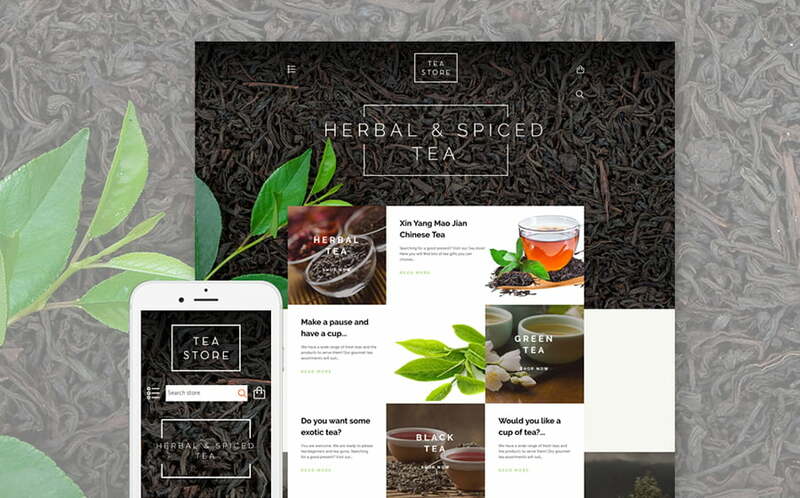 If you are looking for a gorgeous Shopify theme to promote your tea store, the showcased product is definitely your must-see! Opening the package of this stylish food Shopify theme, a user will see tonnes of trendy widgets to introduce their visual content. With it, now it’s easy to use quotes with Testimonials, create a charming and filterable gallery, use counters, and organize the images thanks to carousels. When it comes to creating an incredible food site, you should think twice about its comfort. Ms.Candy is a wonderful and creator-friendly Shopify template you can use to set up both beautiful and fully functional website. Thus, thanks to the theme, your project will be multi-currency, which means you can enlarge the client list without trouble. To say more, Ms.Candy also comes with a great Collection List to allow customers creation sweet collections with your goods and share them via social media. Would you like to have more social traffic? 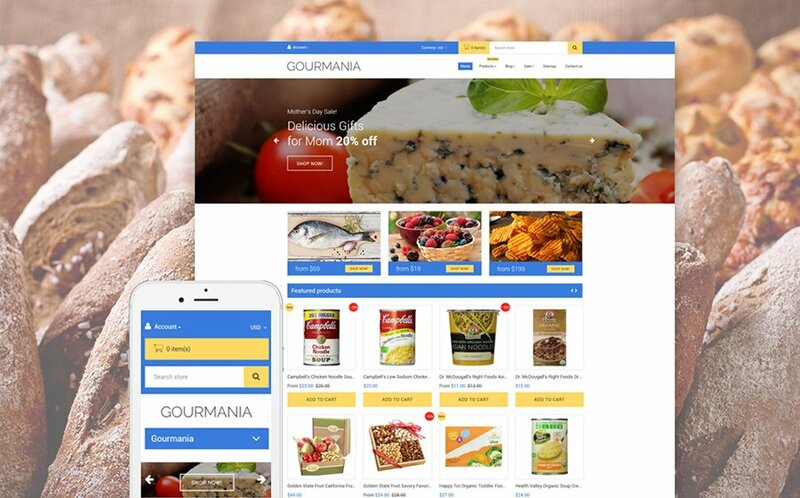 Next, don’t miss Gourmania, which has everything and anything to build a worthy food store and showcase your business online. 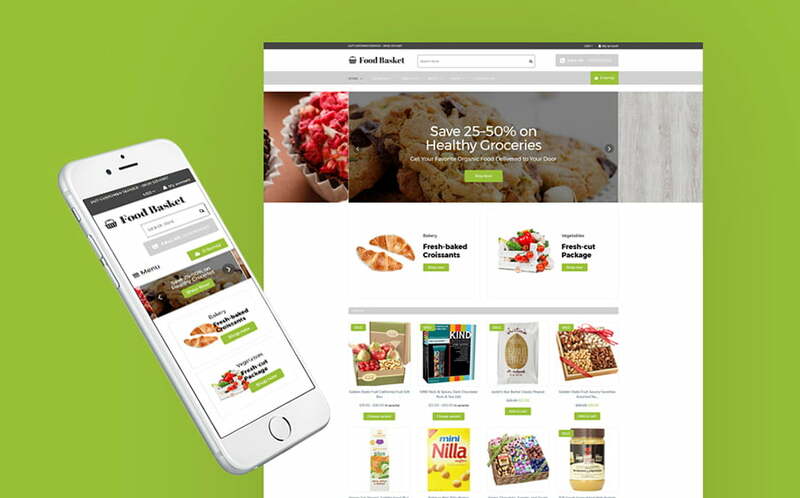 This is a truly responsive food Shopify theme that has flexible components and easy-to-change settings. As a result, a user will be able to tweak everything the way they need. On the other hand, you can use the pre-made online pages that are already in the pack of Gourmania. Whatever you choose, your online shop will be 100% responsive to look fantastic on any gadget. 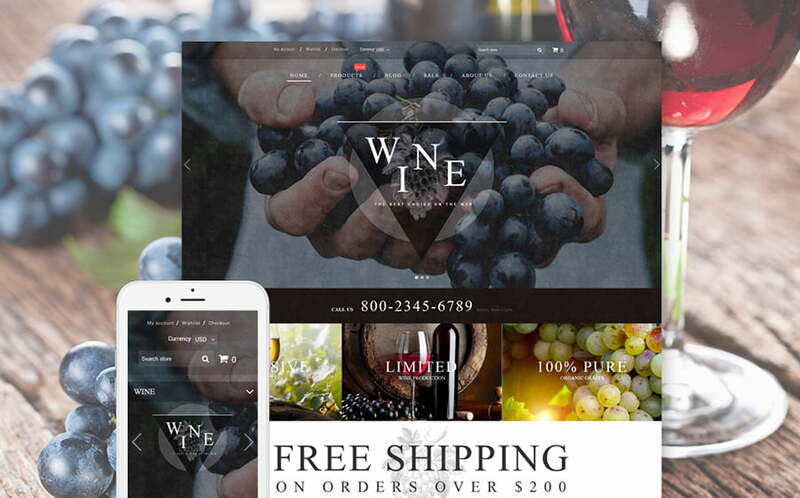 Wine is a multi-currency theme as well but this is not the only advantage of this groundbreaking Shopify product. Inside the pack of Wine, a user finds a voguish plugin, called MegaMenu that is a powerful tool to create the menus of any complicity. Sort your products with the help of categories, (and subcategories if needed) add banners and launch a brilliant online promo. By the way, MegaMenu is also good to be used for SEO. 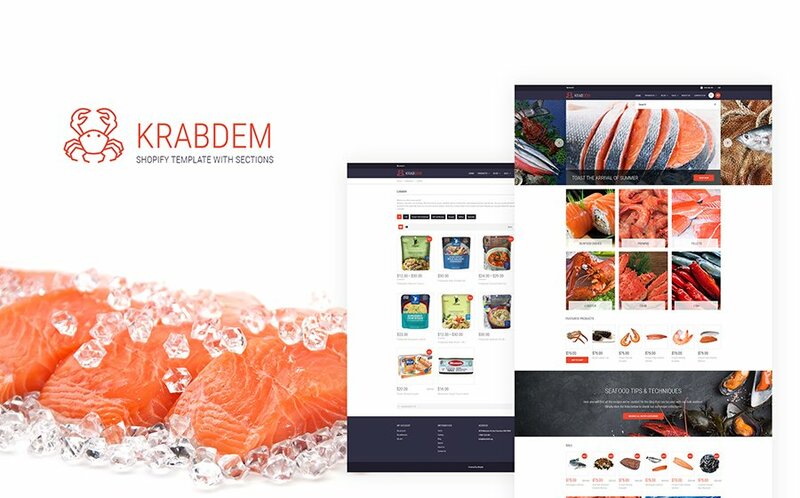 Would you like to run a site related to crabs, sushi, fish, lobster, rolls, shrimps or other yummy seafood? Thus, let’s move to Krabdem that is a ready-to-work decision to set up an online doppelganger for your restaurant. There is eCommerce functionality inside this ace Shopify theme, which allows creating a real web shop. Your customers will be able to make their orders online to save their time and speed up your work. Furthermore, there is Featured Products option to highlight top items. To find your audience, you should use any resource and social media is the right place to catch the eye of a prospect. Thus, Shopimarket comes with Social Integration. On the other hand, it’s an SEO-ready food Shopify theme. 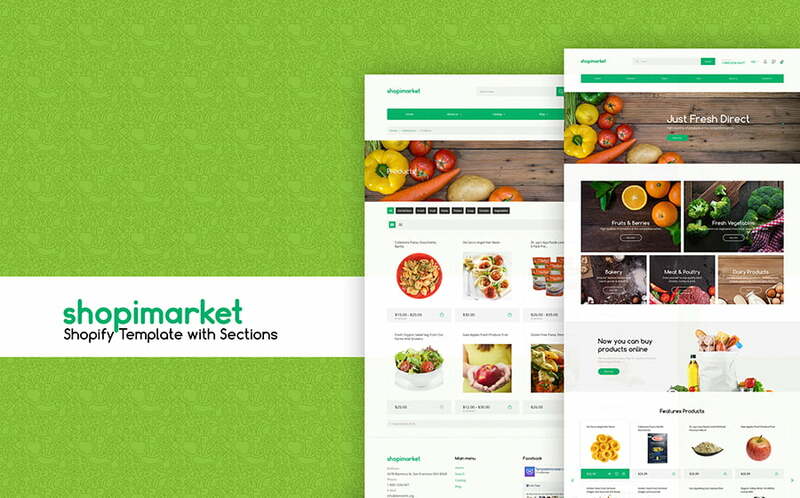 With it, the website you create with Shopimarket will be easy-to-find, so every search engine can notice your site. Another must-have for any winning website is its visual effects. Using them, a website owner creates a magical web presence that lets guide visitors through the content gently. One of such effects is a well-known Parallax scrolling that is already inside the pack of Food Basket. 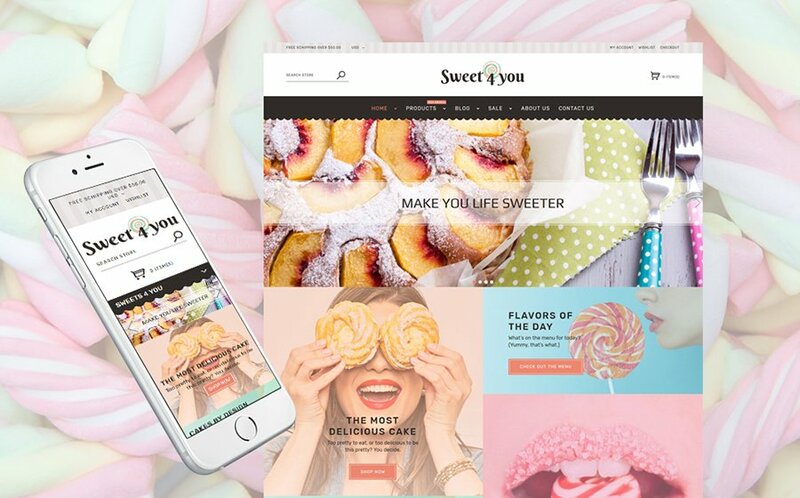 For those users, who dream of building a cute, responsive, and lightning-fast online sweet shop, Sweet4You is exactly what the doctor ordered. The template has easy-to-use sorting options to allow a customer to find the needed page rapidly. Moreover, you can change the look of your site in a single click using a built-in Theme Color Switcher. 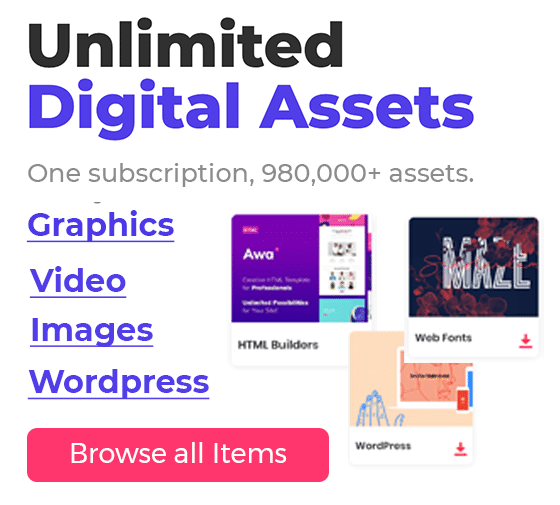 We want to end up this list with Dexitex – a convenient and simple food Shopify theme, which has such features as Parallax, eCommerce, Collections List etc. Use the theme to create the breathtaking product carousels and marvelous collections. 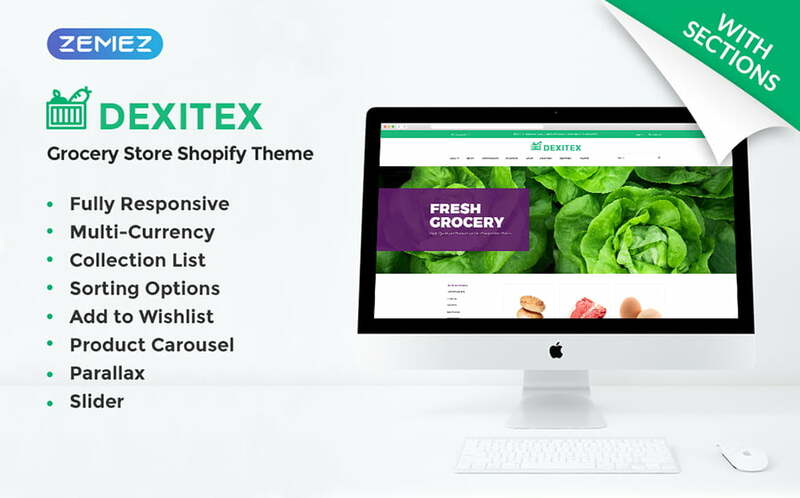 Being 100% responsive, Dexitex has a modern slider that looks nice on desktops and small screens at the same time.